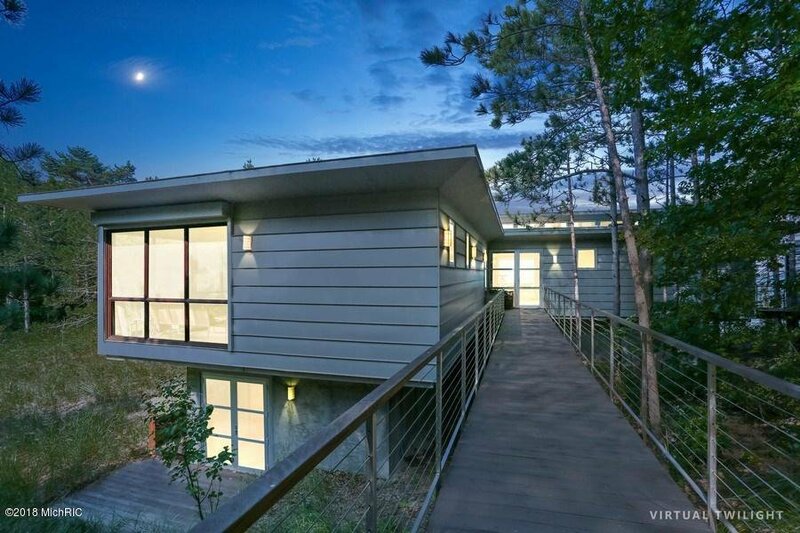 Artfully amazing! 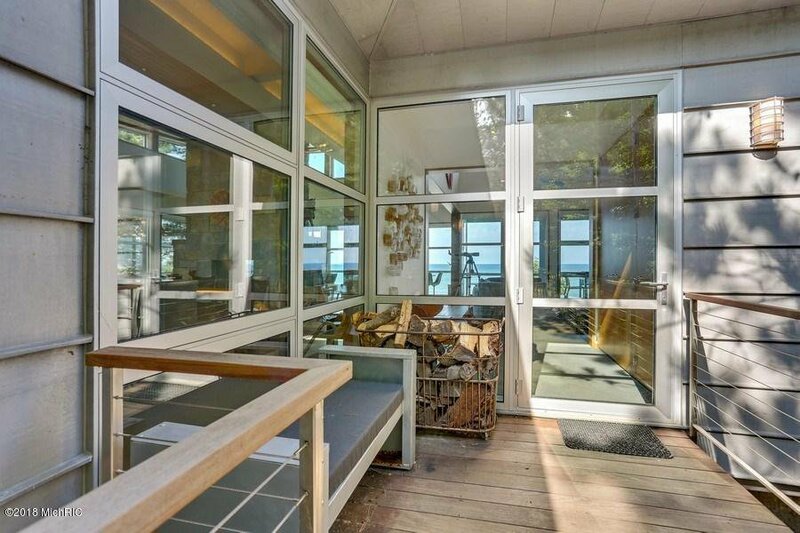 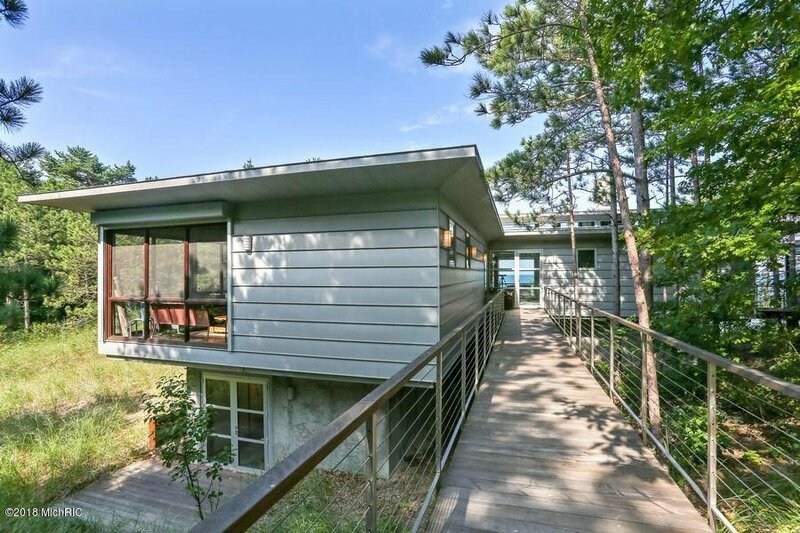 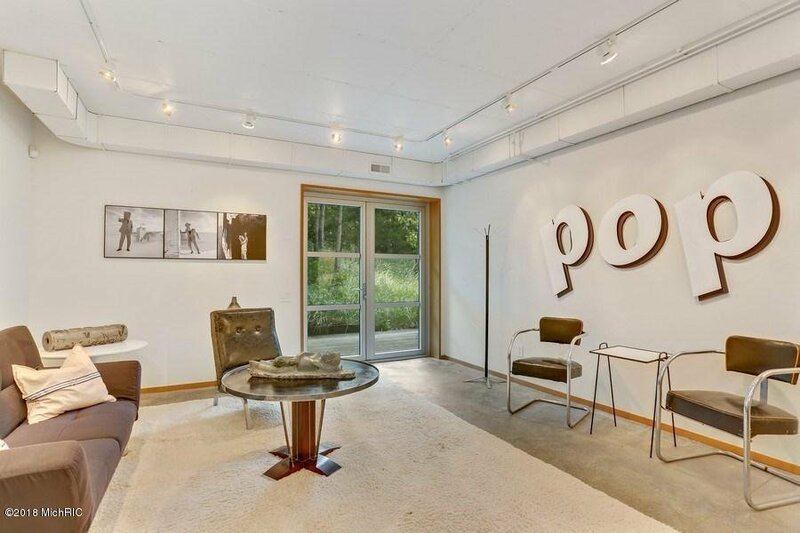 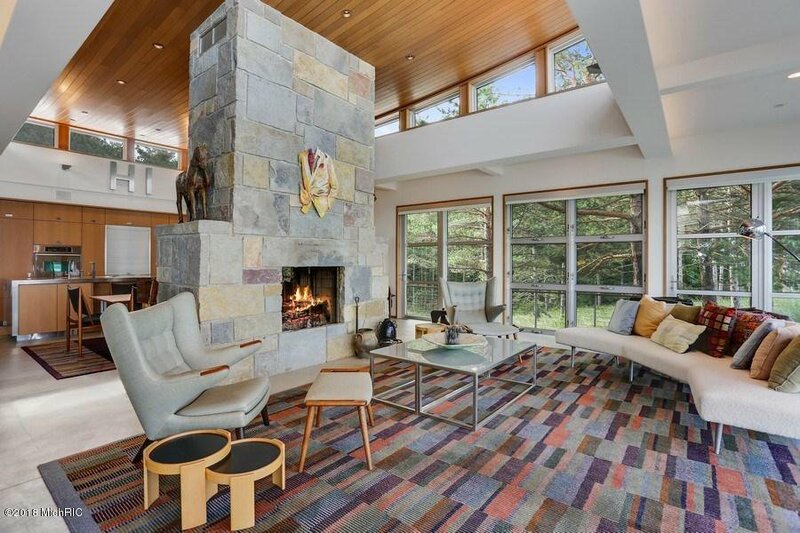 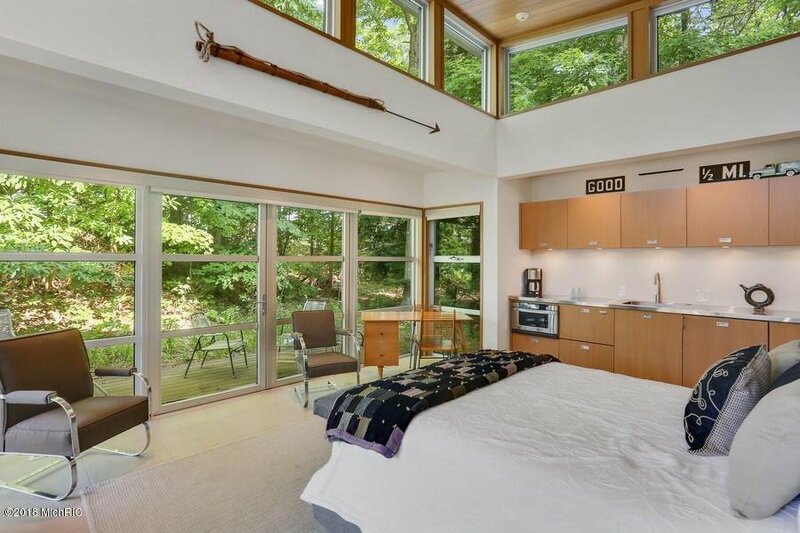 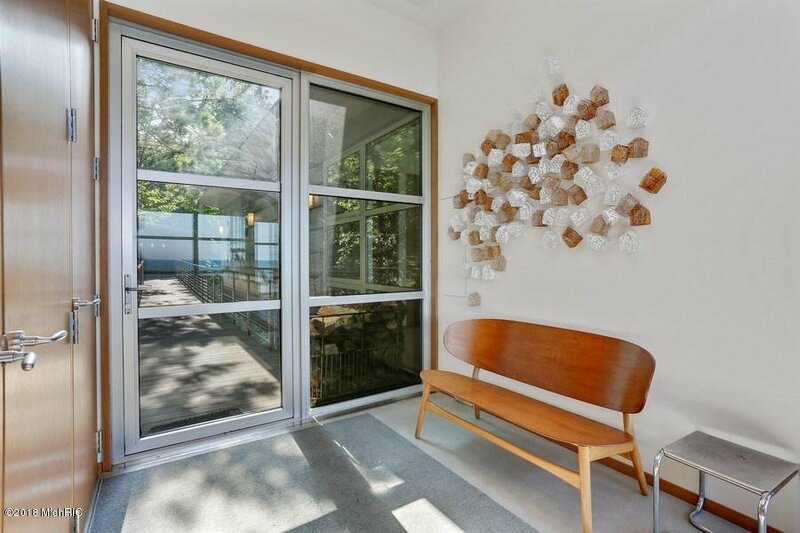 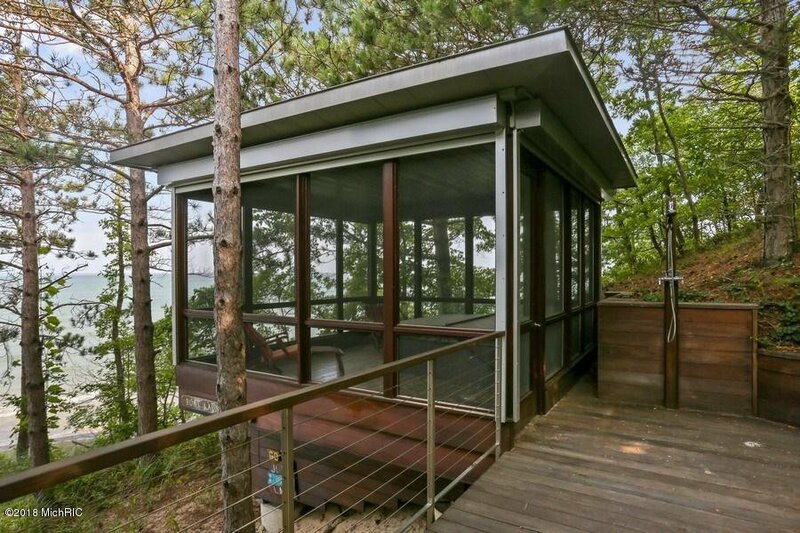 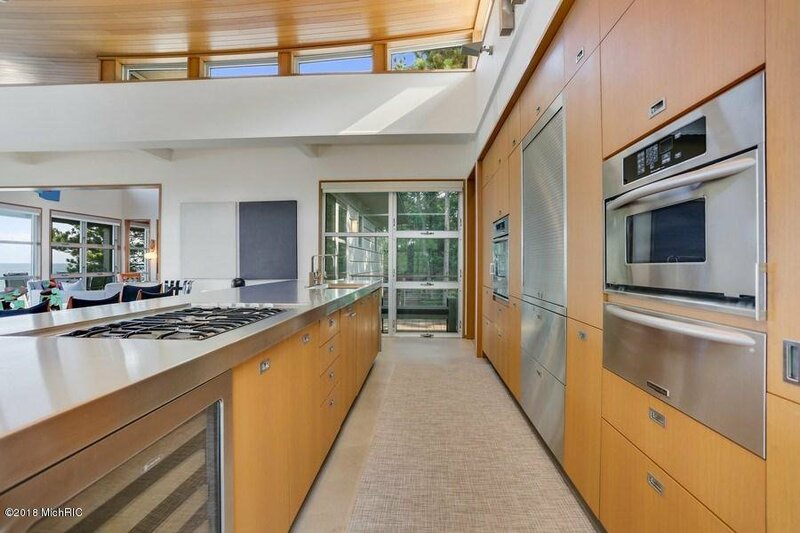 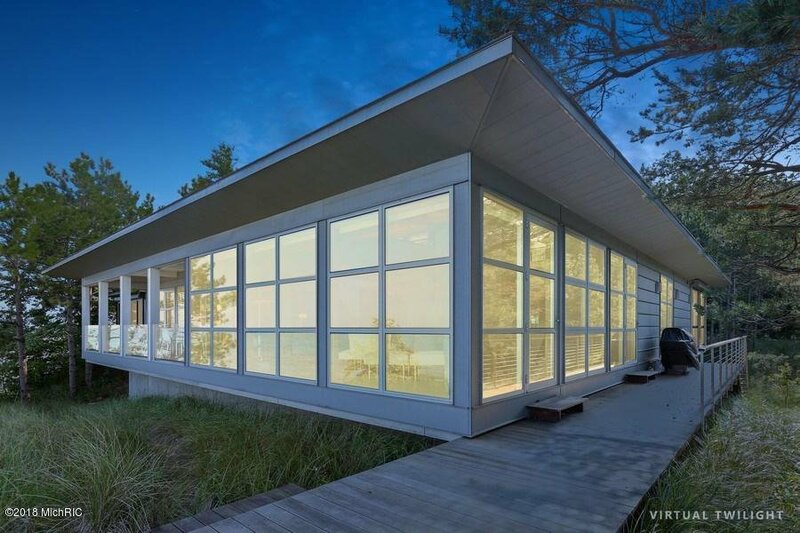 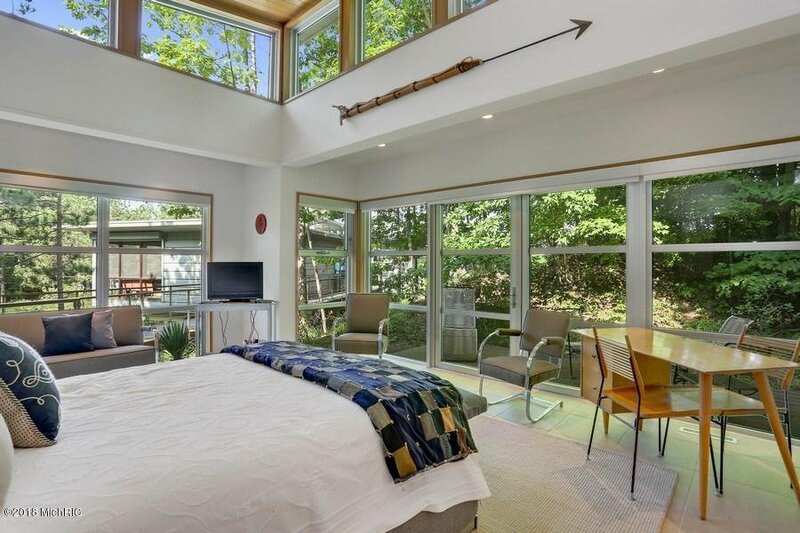 Designed by noted architect, Laurence Booth, this innovative Booth Hansen home exhibits a strong, clean design that frames the natural wonder of its lake front surroundings. 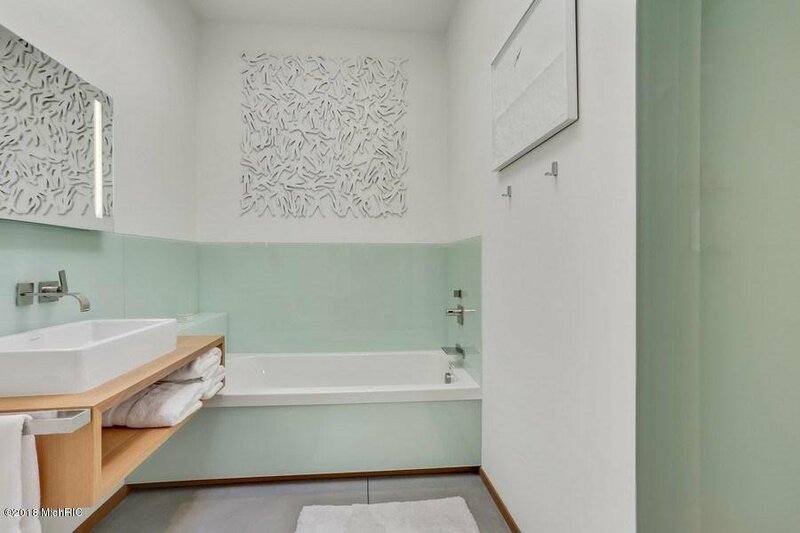 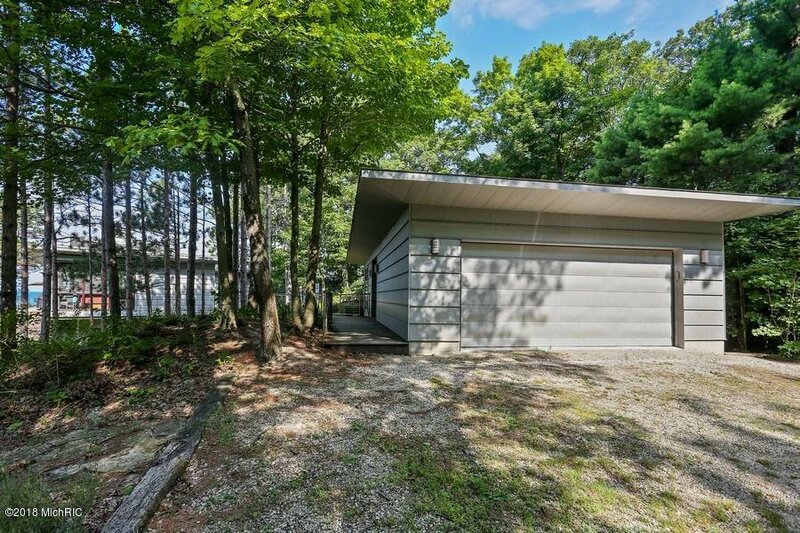 This unique home will pique your interest the moment you arrive. 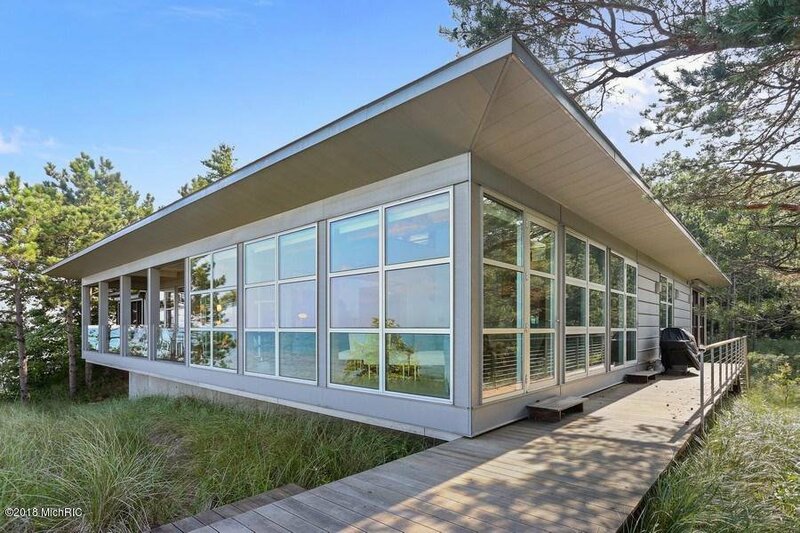 It's all in the details; a distinctive, zinc copper exterior plays off of the aluminum framed commercial windows, concrete radiant floors & a massive rough stone fireplace all surrounded by a wall of windows with incredible Lake Michigan views. 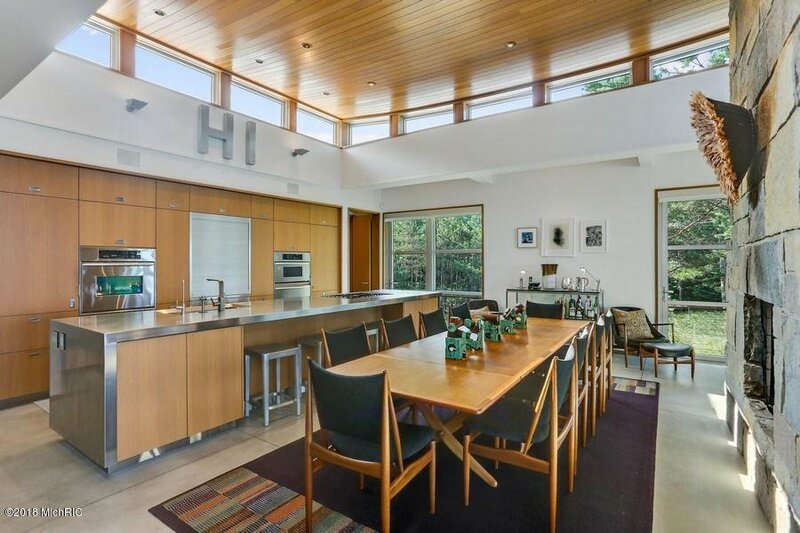 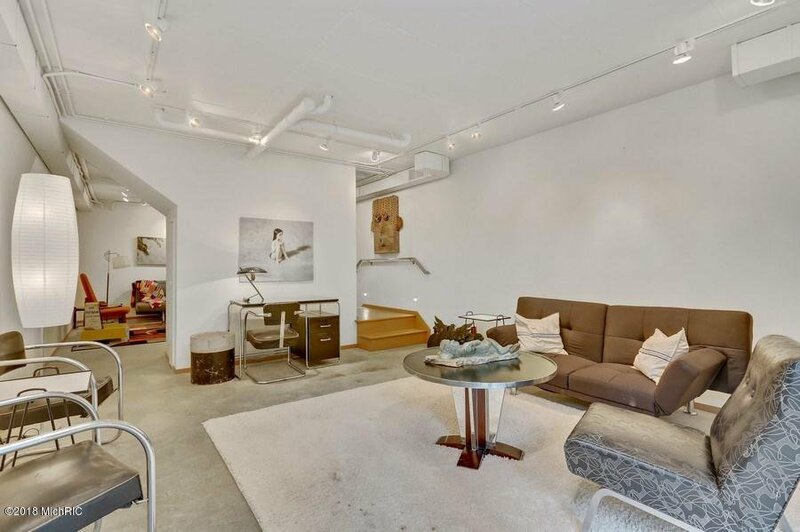 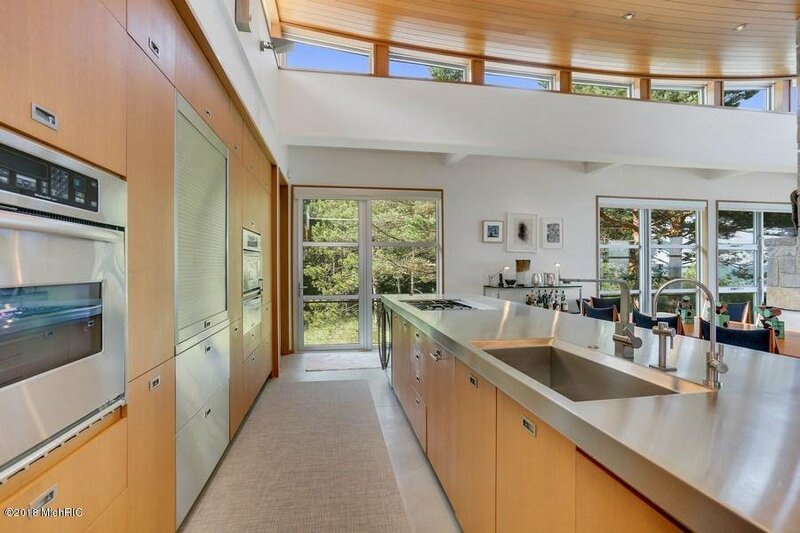 The sleek, modern aesthetic is continued throughout the open floor plan of this home. 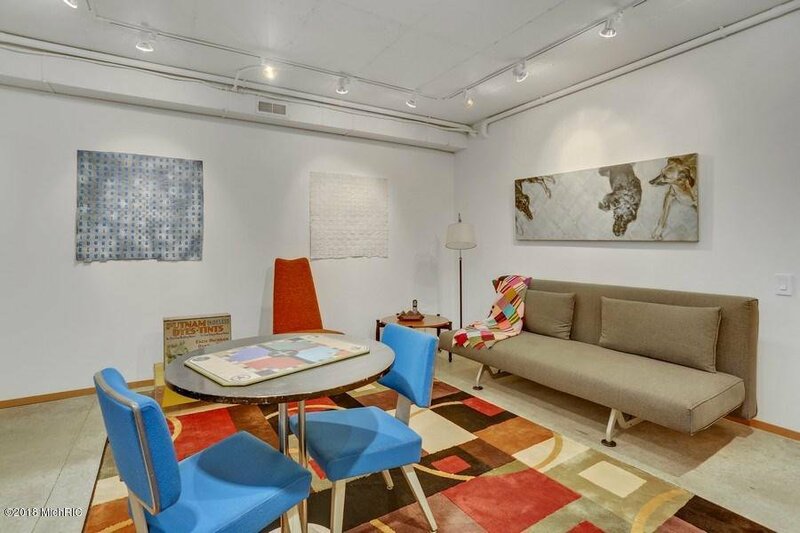 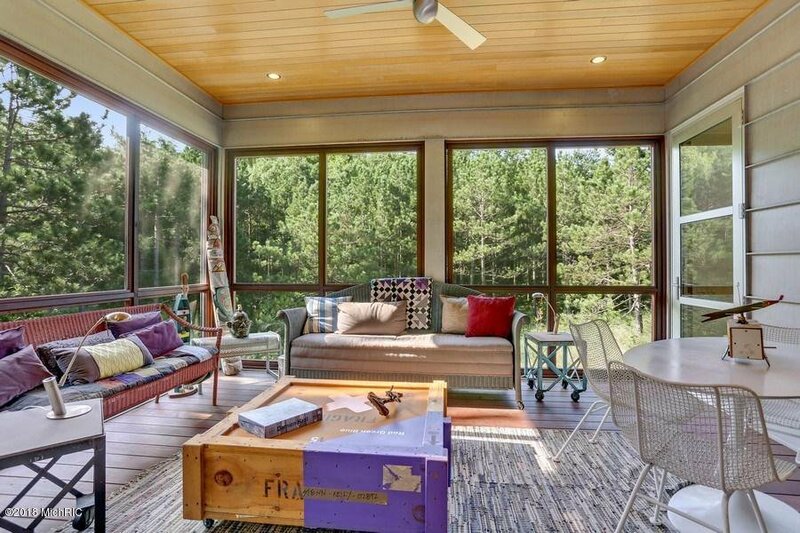 A detached Coach House is perfect for guest with kitchenette, full bath & private deck. 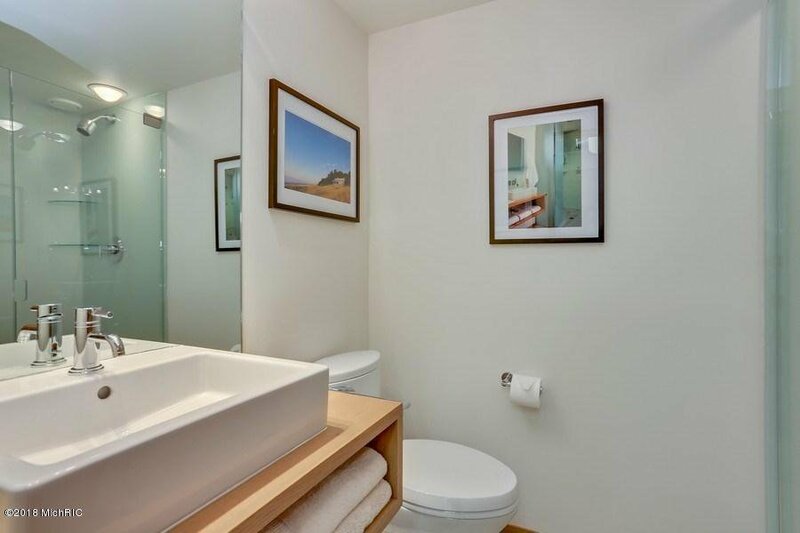 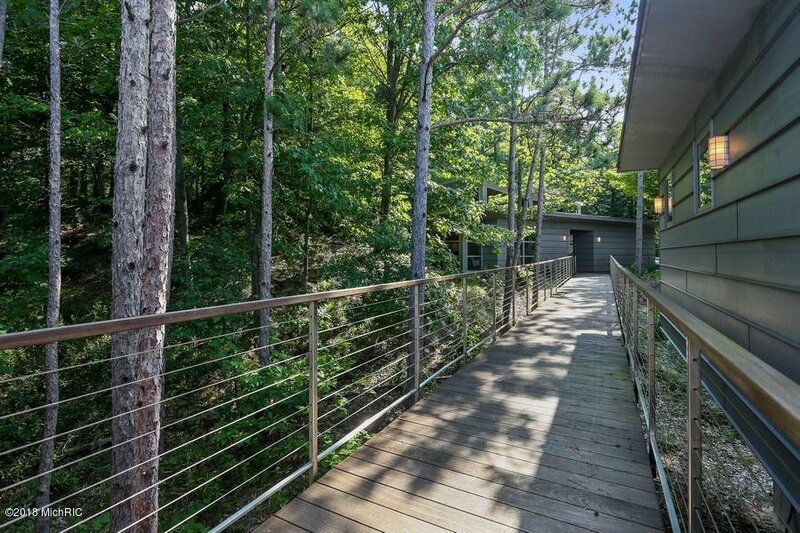 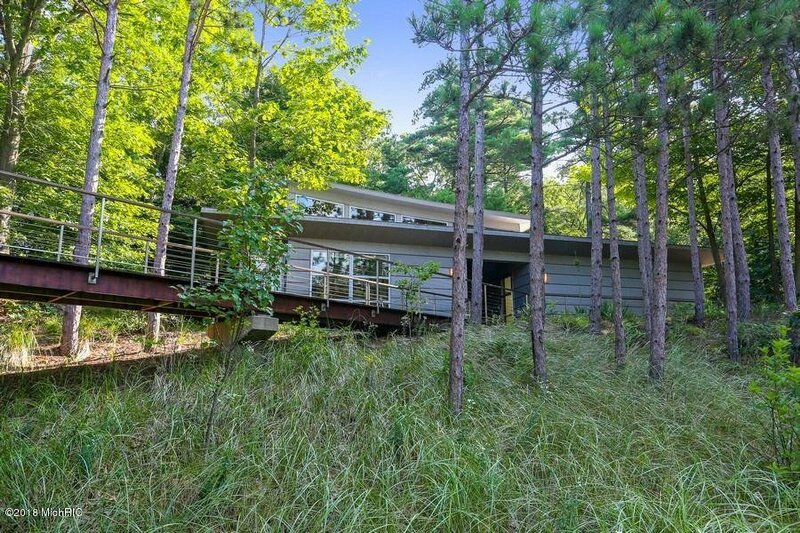 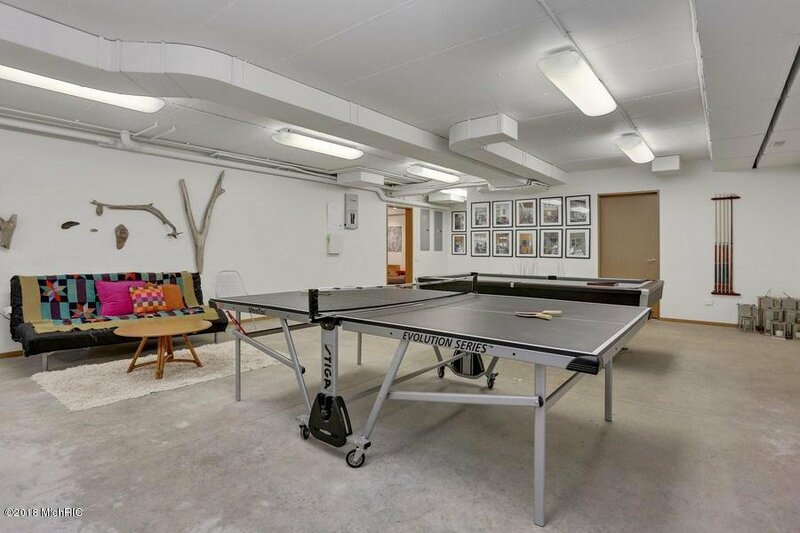 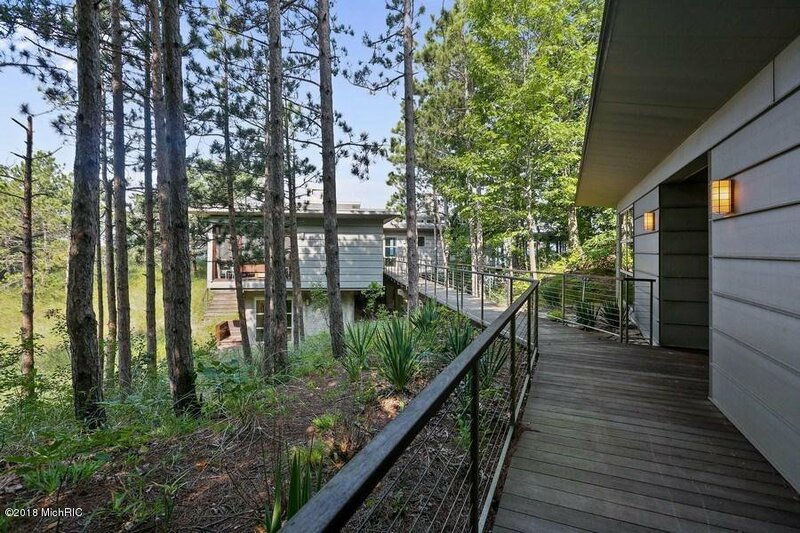 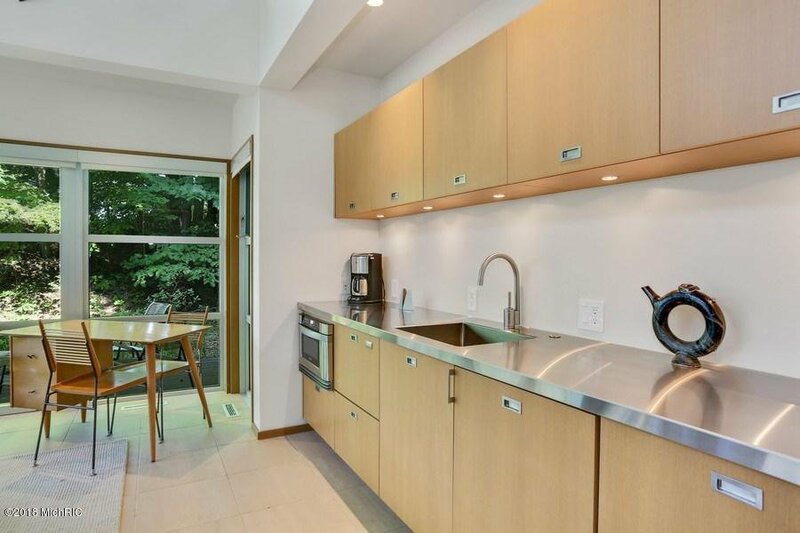 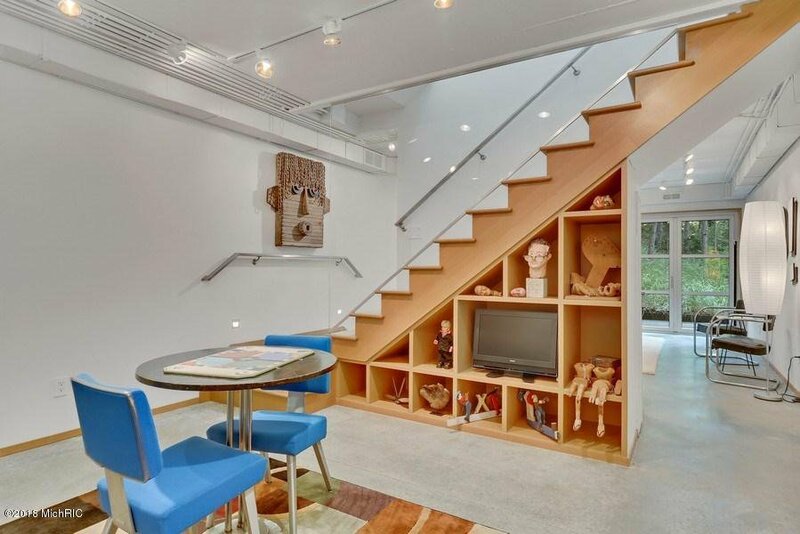 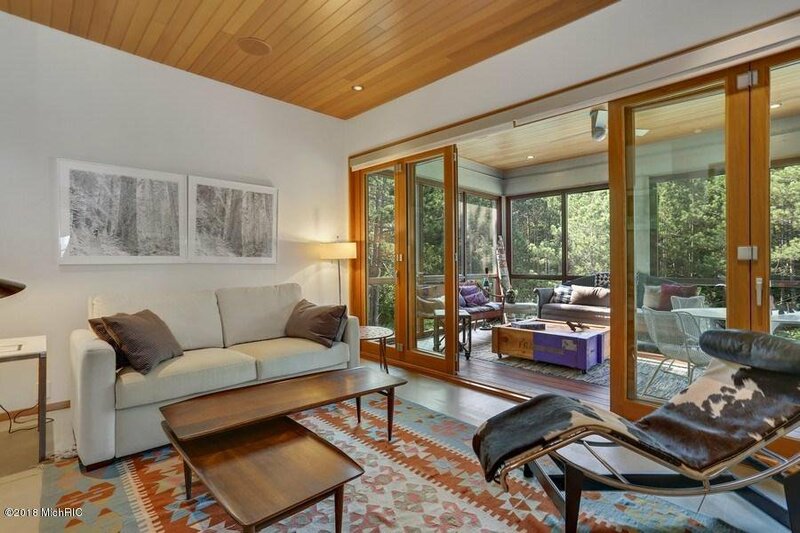 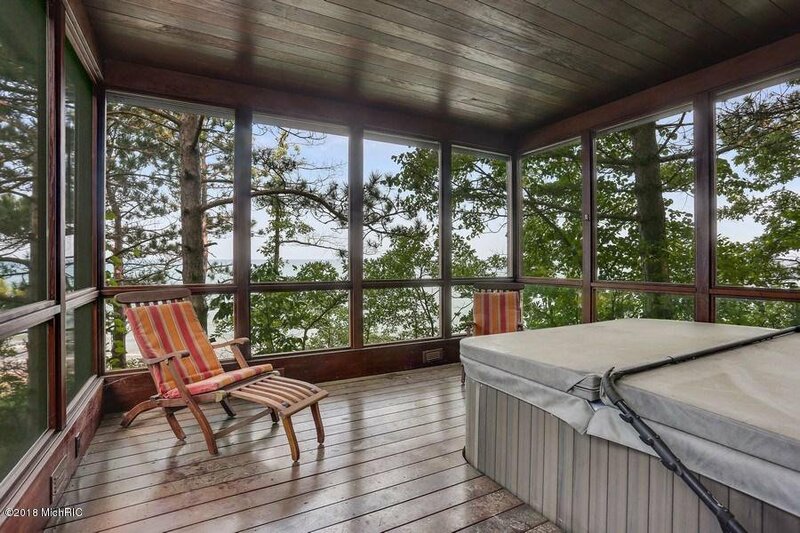 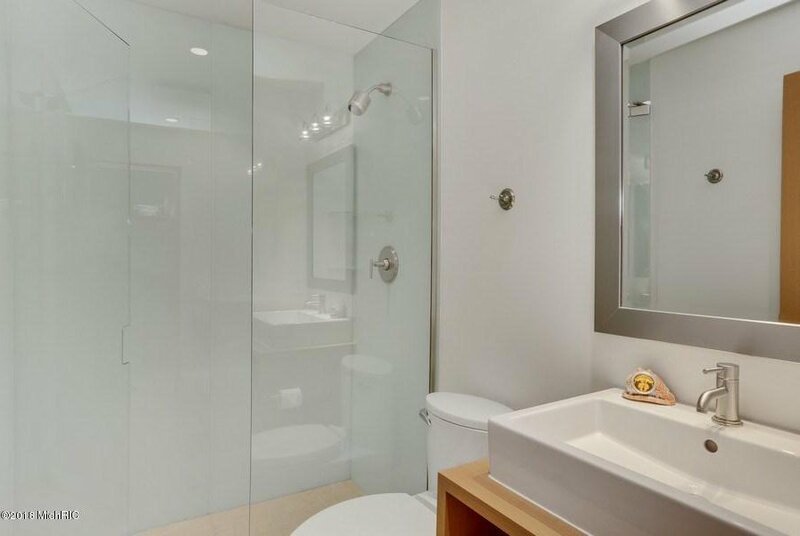 The confident lines of this home are rivaled by the Hot Tub Pavilion & private deck. 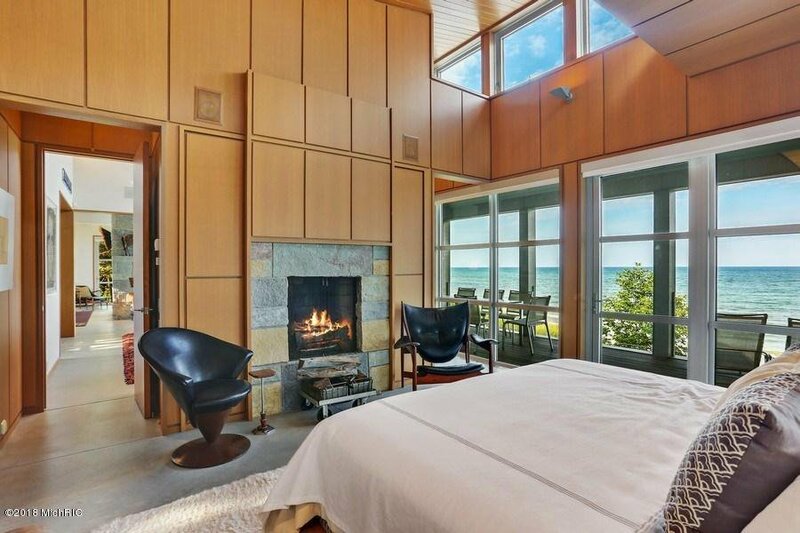 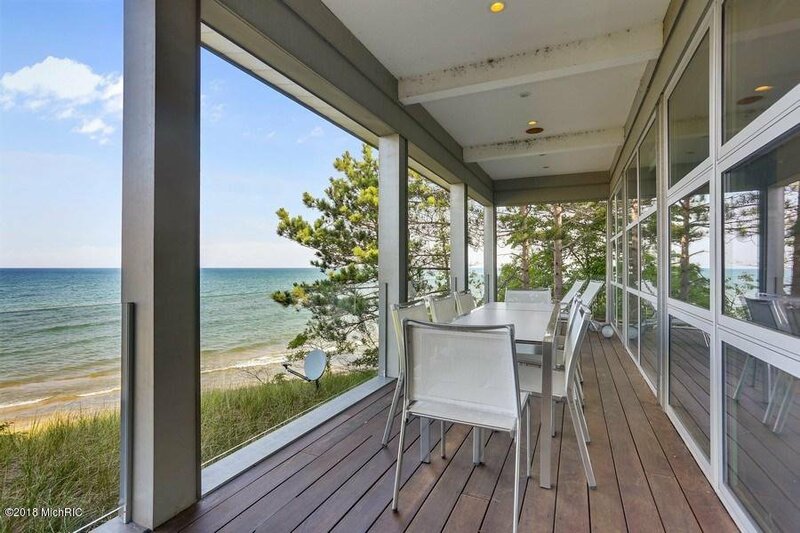 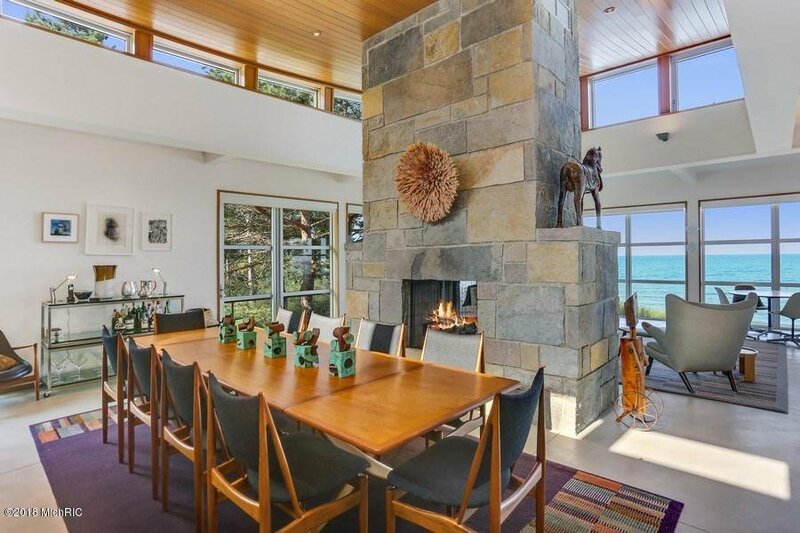 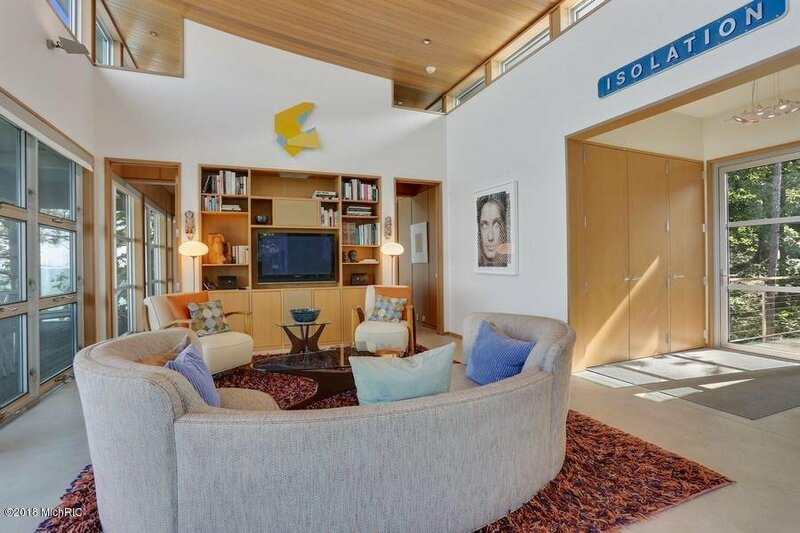 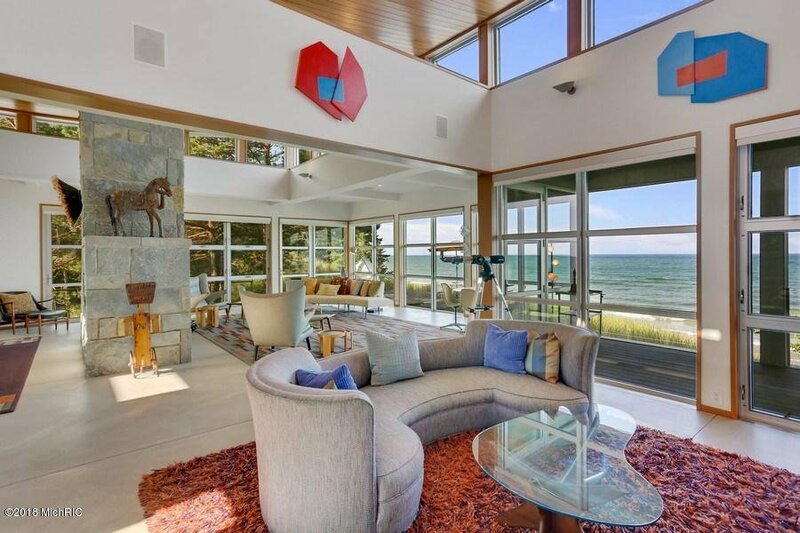 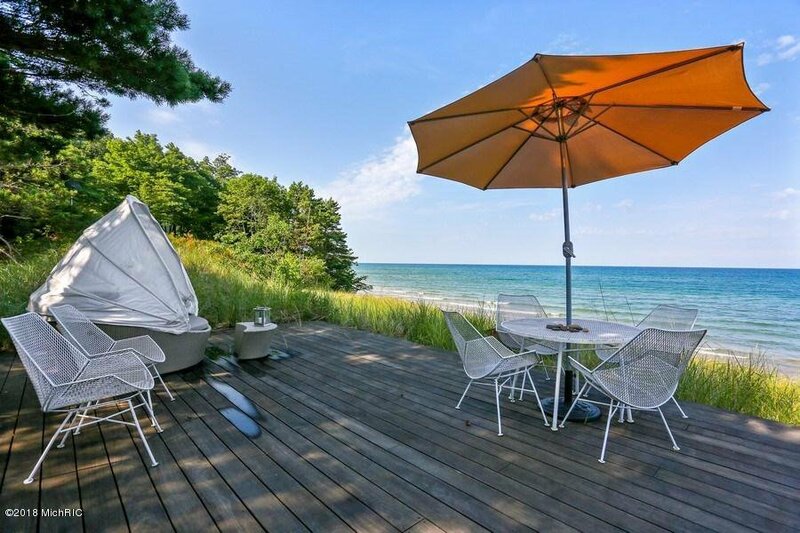 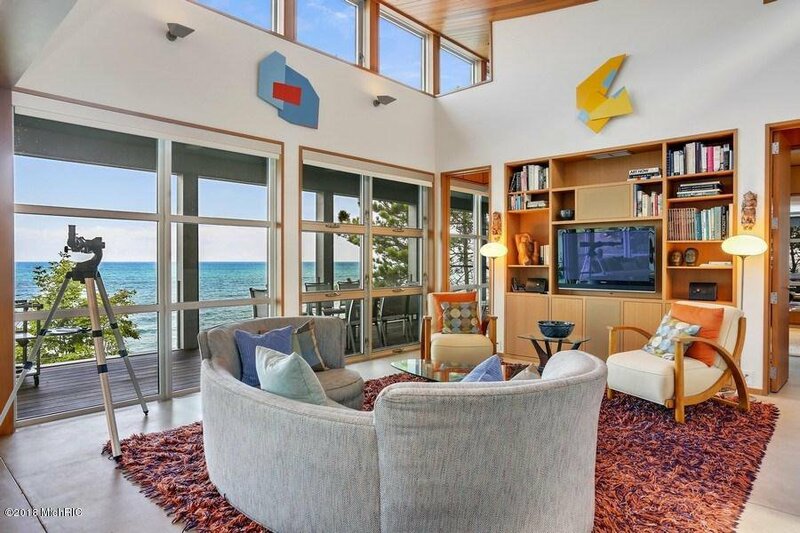 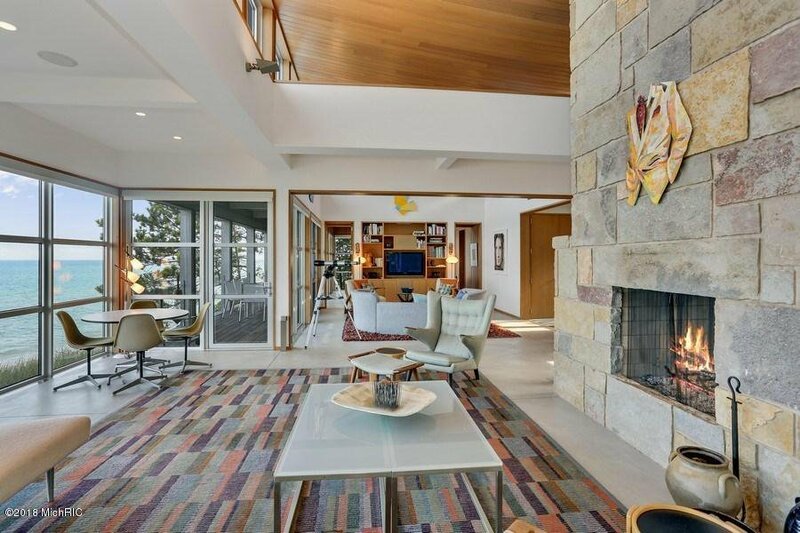 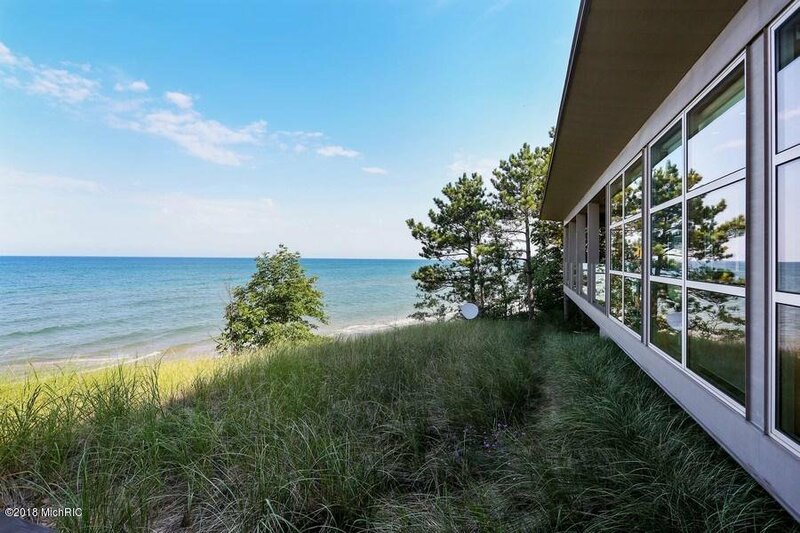 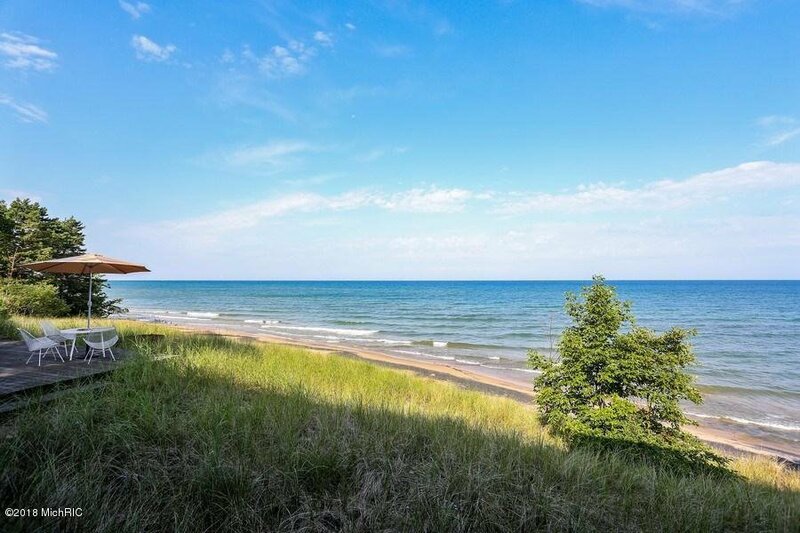 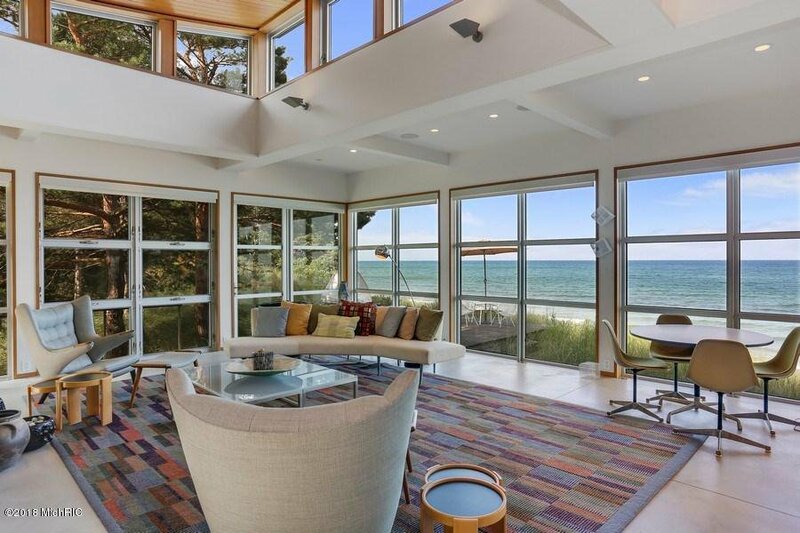 This residence is a commanding presence with 100' of Lake Michigan frontage, style, tranquility & relaxation. 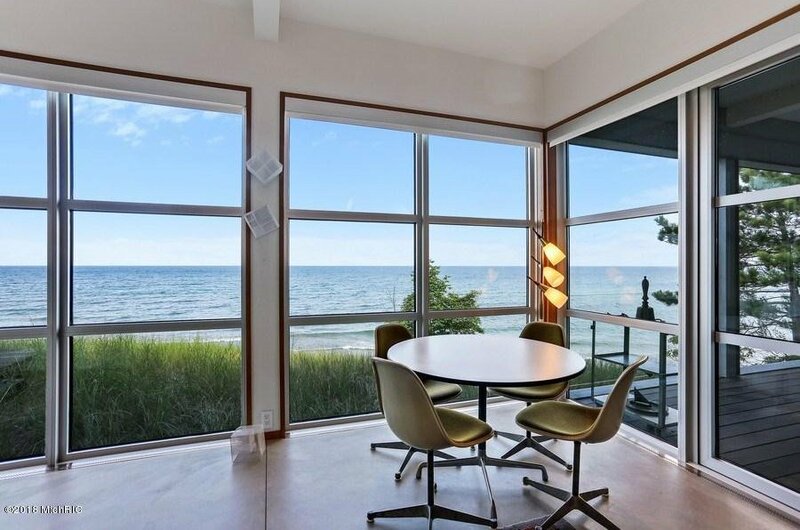 Selling Agent: Shanna Ax Selling Office: RE/MAX Lakeshore.